Team India might have been thinking on how to get out of the trouble in the ongoing first Test against Sri Lanka at the Eden Gardens, but former India skipper Sourav Ganguly is confident that Virat Kohli & Co. would walk out of the game as victors. With not many giving Dinesh Chandimal & Co. any chances of posing a tough challenge to the formidable Indian team, Suranga Lakmal took only six overs to prove them wrong, as he ran riot with the new ball in friendly conditions. After the match was delayed due to rain, Lakmal fully capitalised on the overcast conditions, as he sent back KL Rahul with a gem of delivery on the very first ball of the day. 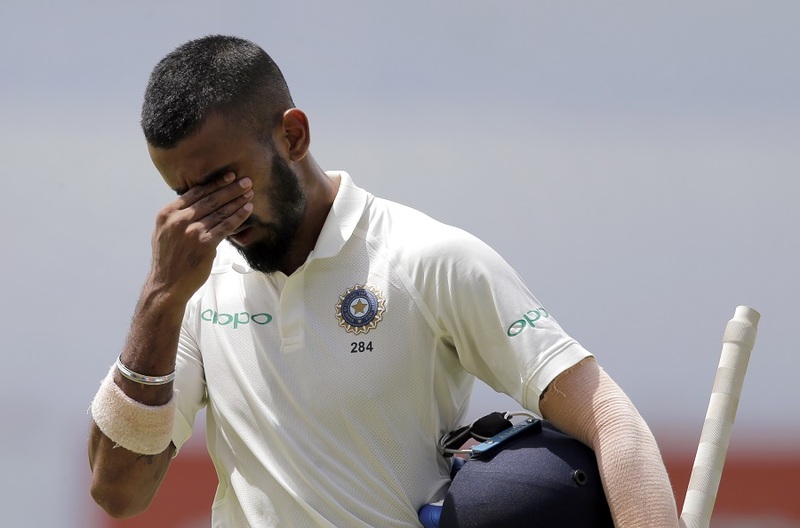 Shikhar Dhawan and Cheteshwar Pujara managed to hold on for around six overs before the former chopped one onto his stumps off Lakmal. 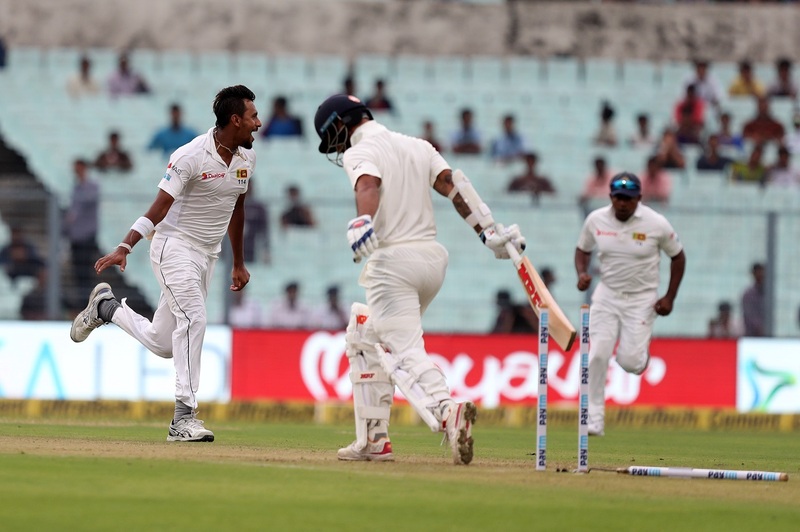 The Sri Lanka pace spearhead was not done yet, as he piled more miseries on the hosts by sending back skipper Virat Kohli for an 11-ball duck to reduce them to 17 for three before the weather ended the day’s play. But while India are staring down the barrel, Ganguly feels the world number one side will go on to win the series-opener. “Let me tell you one thing, India will win this Test even if they are 17/3,” Ganguly said at a book launch event in Kolkata. Meanwhile, the nature of the Eden Gardens pitch has been a much-talked-about topic in recent time. 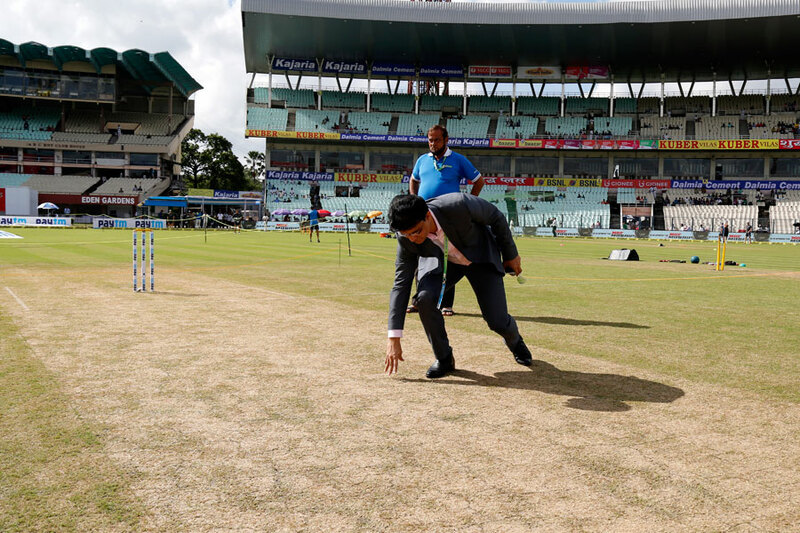 The iconic stadium, where only one pacer had taken a five-wicket haul between 2002 and 2016 before Bhuvneshwar Kumar picked one last year, offered ample bounce and swing on the first day and had a layer of grass over it. “I could not control the rain for last two days. With rain covers and a bit of grass at the Eden, this was bound to happen. You have seen the game; you know how it is when it’s overcast and dark. There’s a lot of rain for two days, and the wicket was undercover,” he added.